Bio 1100 can now remove up to 99.99% of fluoride (unequalled in our industry) after years of exhaustive research by our scientists. With a 5.25 litre hand blown blue glass reservoir that we’re famous for and a chrome tap outlet. Once again Waters Co have set the new benchmark for other filter systems and filter companies to follow! 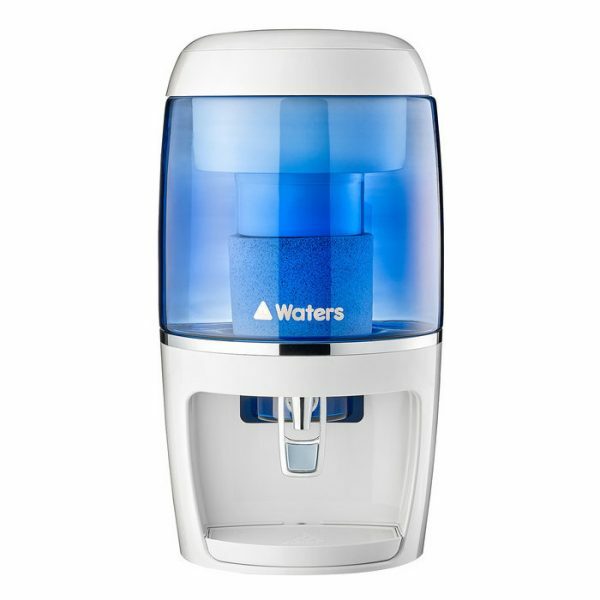 Featuring an unmatched in class 13 stages of sterilising, filtration & activation the BMP 1100 turns ordinary tap water into great tasting, alkalised, energised, magnetised and ionised mineral water. 11 litre capacity, hand blown blue glass reservoir, great for home and workplace.